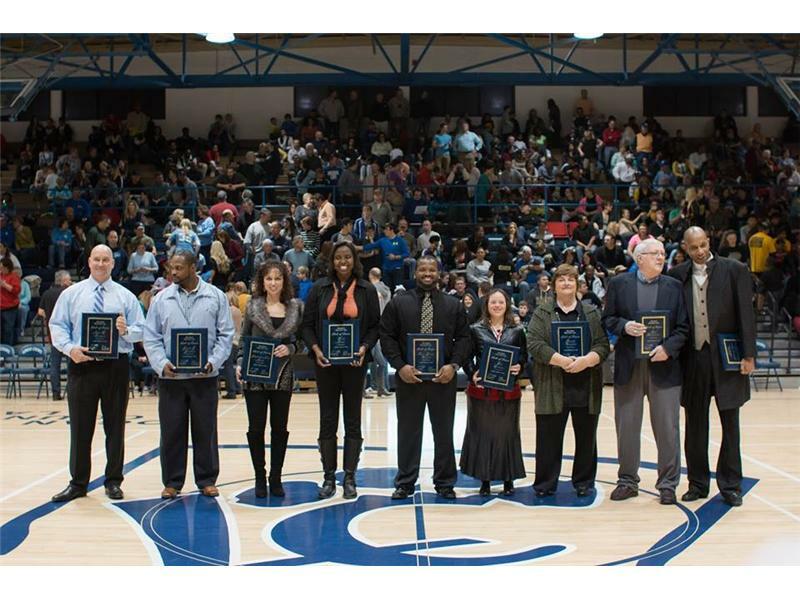 A standing room-only crowd at Logan County High School Friday night witnessed the induction of the nine charter members of the newly formed Cougar Athletic Foundation Hall of Fame between games of the Clash of the Cats. 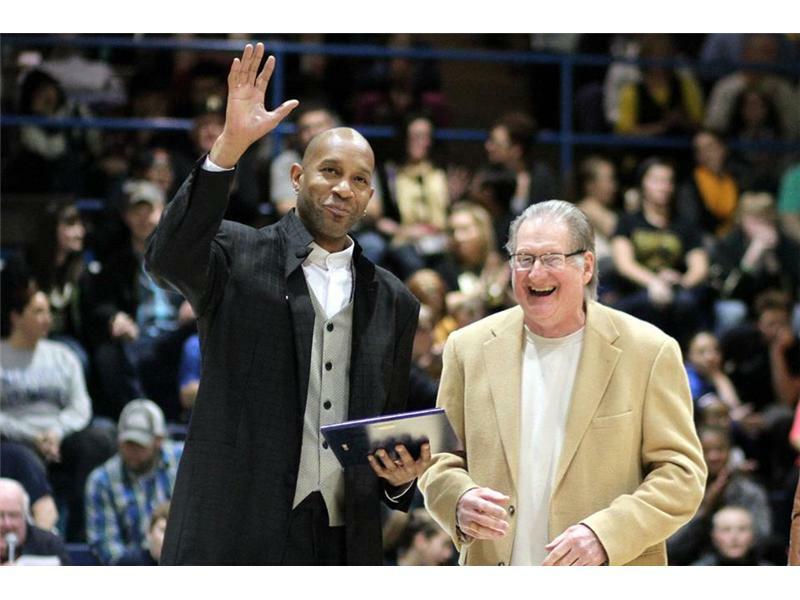 For 10 years, Cougar fans have been allowed to share in appreciation for Russellville sports figures who have been inducted into the Russellville Alumni Association Hall of Fame. This time, it was the Panther fans who were invited to share in congratulating ultra-successful athletes who have emerged from the Land of Logan. A committee of people who care deeply about LCHS and its sports have worked hard to plan this Hall of Fame and to select members. They realize there are many more former athletes, coaches and supporters who deserve recognition, too, and more Hall of Fame members will be added in years to come. The Hall of Fame is sponsored by First Southern National Bank, and many FSNB employees were present, including top local officers Alex Keltner and Tracey Gilbert. A reception for the inductees and their close friends and family was held in the auxiliary gym Friday evening before the girls Clash began. Jimmy Kent Wilson served as the original president of the Foundation and is also chairman of Projects committee. Billy Bingham is fund raising chairman. Kyle Hines is the new president. Mike Riley, Lori Bouldin and LeAnn Powell are active leaders of the group. Two of the inductees’ grandmothers made the effort to be there in wheelchairs. One was Lee’s paternal grandmother, Davey Lee Dockins, accompanied by her husband Frank. 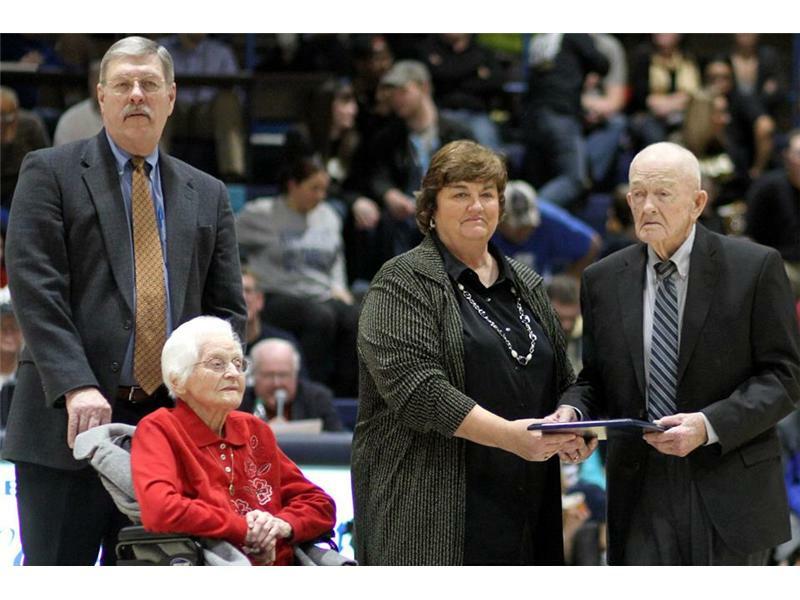 The other, 104-year-old Nell Lawrence of Allensville, was rolled out on the gym floor by inductee Brenda Chapman’s husband, George ‘Bud’ Strickler. Brenda was a professional basketball player with the Women’s Basketball League, playing for both Minnesota and Milwaukee. She was named Logan County Female Athlete of the Decade for the 1970s and was chosen for the WKU Women’s Basketball Centennial Team. Presenting Brenda her plaque were her dad, former Kitty League professional baseball player Al Chapman, and her grandmother, Nell Lawrence. Lillie led the Lady Toppers to two Final Fours and remains near the top of most statistical categories in WKU women’s basketball history. She played professional basketball in Italy, since there was no women’s league in the United States when she graduated. Her jersey hangs from the rafters of Diddle Arena. 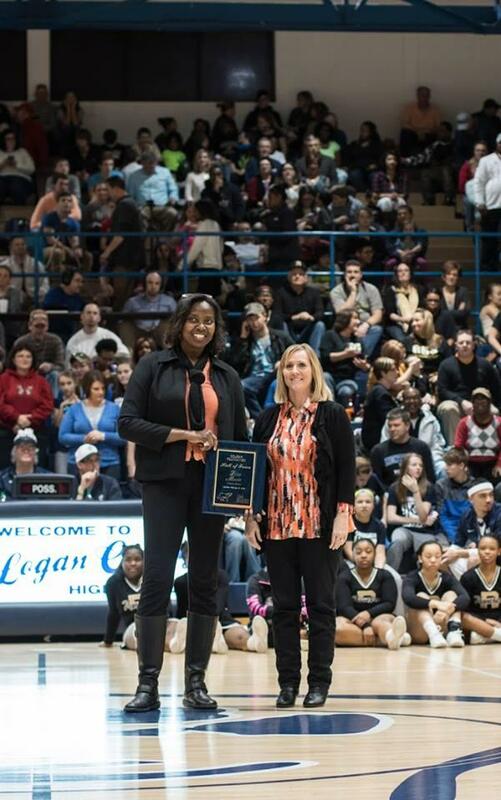 Presenting Lillie her plaque was Brenda Anderson Coursey, who was her teammate at Olmstead and was on the Lady Cougars coaching staff for several seasons. Fred was runner-up for Mr. Basketball and played on the Kentucky HoopStars team in Europe. He was named to All-Tournament teams in the King of the Bluegrass, the Louisville Invitational Tournament and the Ashland Invitational Tournament as a senior. He starred in a pro league in Uruguay. 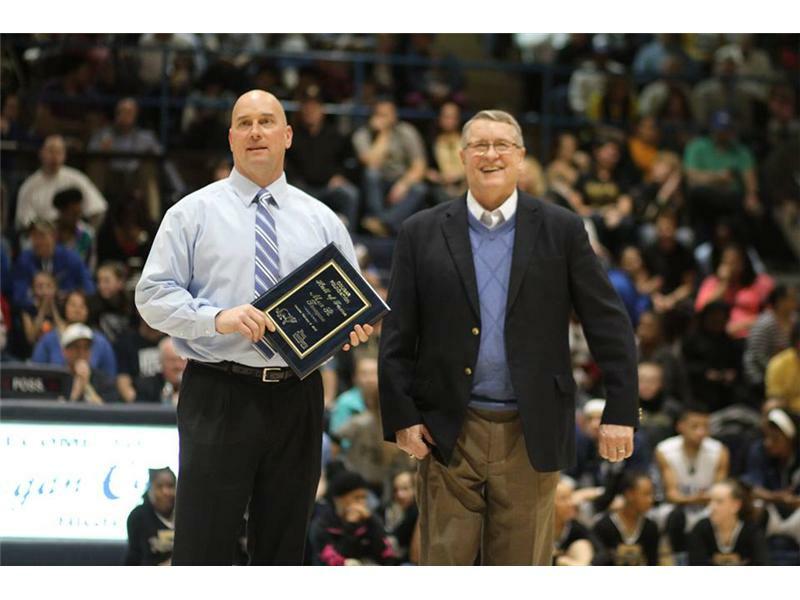 Presenting Fred’s plaque was Barry Reed, who coached him both at Auburn and at LCHS. Mark earned 10 varsity letters at LCHS in football, basketball and baseball. He was named MVP of the Kentucky Wildcats in 1992 when he led the team in ERA, Wins and Strikeouts. He was the first draft choice in Rockies history to reach the majors and was the first winning pitching in Coors Field history. He also pitched for the St. Louis Cardinals and in the Cincinnati Reds organization. Presenting Mark’s plaque was his dad, Jim Thompson, who was the first coach of Lady Cougar basketball and guided them to two regional finals berths.